Bridge Opticians (Fort Lee) - Book Appointment Online! 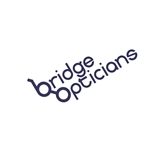 Welcome to Bridge Opticians where your vision comes first. Our goal is to help you see better. We are able to achieve this by running a first class optical boutique. We provide comprehensive eye exams to determine your prescription as well as check on your eye health. Not only can the doctor determine a glasses prescription, he can fit you for contact lenses. Our doctor is very thorough and diligent. We only employ licensed opticians with many years of experience, who pride themselves on their ability to combine their extensive optical knowledge with their excellent interpersonal skills. Our collection of eyeglass frames is unparalleled. Every month, we add new eyewear brands. We have a broad selection of premium lenses including Varilux, Zeiss, Shamir, Hoya, ... We have invested heavily in the newest instruments for measuring and making your eyewear. All of our lenses have a minimum of a one year-one time time replacement policy for scratching. Amazing. Very thorough, friendly and knowledgeable. Dr. Rosenberg knows all kinds of brands of eye lenses and provides great recommendations. He also gives samples to try out and decide which ones are best for you. Love it, every time I visit.